This article is about Luton (disambiguation). 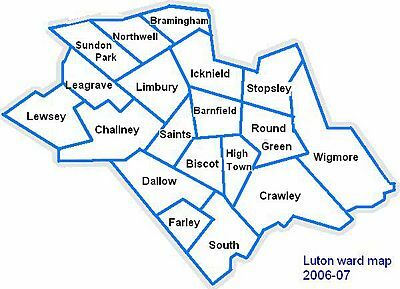 For other uses, see Luton (disambiguation). 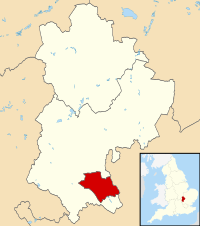 Luton ( i/ˈluːtən/ LOOT-ən, local /ˈluːʔən/) is a large town, borough and unitary authority area of Bedfordshire, England. 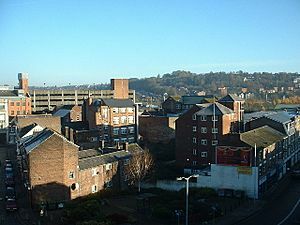 Luton and its near neighbours, Dunstable and Houghton Regis, form the Luton/Dunstable Urban Area with a population of about 258,000. 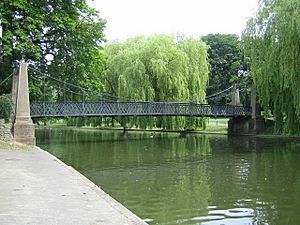 It is located 20 miles (30 km) east of Aylesbury, 14 miles (20 km) west of Stevenage, 30 miles (50 km) north-northwest of London, and 22 miles (40 km) southeast of Milton Keynes. 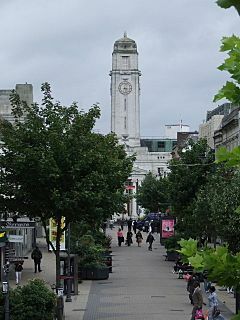 Luton is home to League Two team Luton Town Football Club, whose history includes several spells in the top flight of the English league as well as a Football League Cup triumph in 1988. 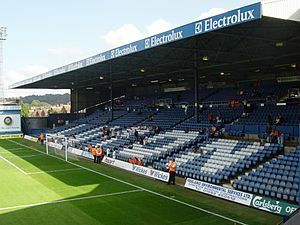 They play at Kenilworth Road stadium, which has been their home since 1905. London Luton Airport, opened in 1938, is one of Britain's major airports. 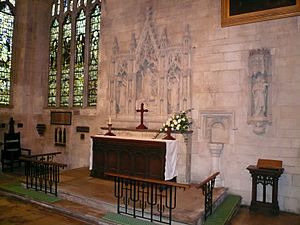 During the Second World War it doubled as an RAF base. The Luton Carnival, which was traditionally been held on the Whitsun May bank holiday, is the largest one-day carnival in Europe. In 2012, it was moved to July to coincide with the Olympic Torch Relay and celebrations. Luton Carnival was transferred from Luton Borough Council to UK Centre for Carnival Arts in 2013, and since then has been held on the Sunday before the bank holiday in order to avoid the increased costs of operating on a bank holiday. The town was for many years famous for hat-making, and also had a large Vauxhall Motors factory. Car production at the plant began in 1905 and continued until 2002. 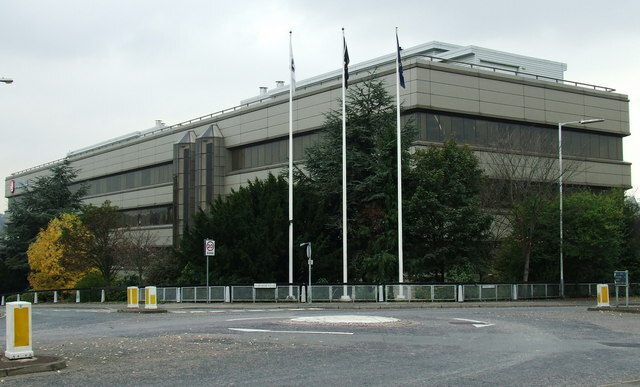 Production of commercial vehicles continues, and the head office of Vauxhall Motors is still situated in the town. 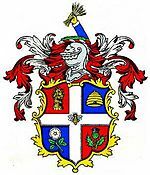 Luton derives its name from Saxon -tun (meaning enclosure, estate or homestead), and the Brittonic element -lug (meaning 'bright', 'light' or referring to the associated Celtic deity Lugus). The joint linguistic heritage may indicate the town's foundation as an early Anglo-Saxon outpost in a newly conquered area . 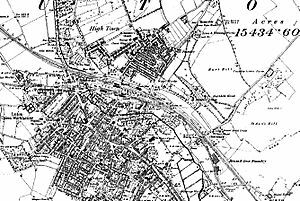 The Domesday Book records Luton as Loitone and also as Lintone. Agriculture dominated the local economy at that time, and the town's population was around 700 to 800. But this number could[original research?] represent a recently reduced population as a direct result of the Norman Invasion and the English resistance that followed. 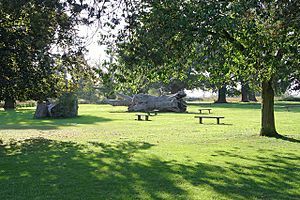 The Domesday Book records the value of King William's English possessions 20 years after his victory at Hastings, during which period, as the book would suggest, much destruction and death took place. Besides Luton, Biscot and Caddington also have entries in the Domesday Book for the surrounding area and in both these cases the value of the lands are much lower than their pre-invasion state, indicating a loss of households, livestock and crops. The United Kingdom Census 2011 showed that the borough had a population of 203,201, a 10.2% increase from the previous census in 2001, when Luton was the 27th largest settlement in the United Kingdom. In 2011, 46,756 were aged under 16, 145,208 were 16 to 74, and 11,237 were 75 or over. The latest population figure for the borough is (mid-2015 est.). 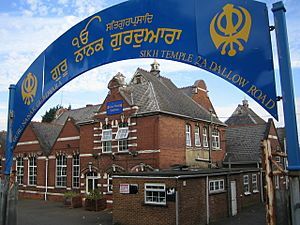 In the ten-year period since the United Kingdom Census 2001, the percentage of inhabitants in Luton reporting being Christian fell from 60 to 47%. Meanwhile, those reporting being Muslim increased from 15 to 25%. 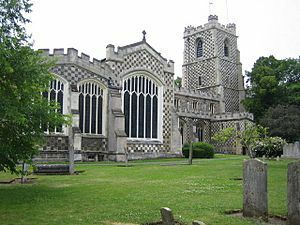 Luton is situated less than 30 miles north of the centre of London, giving it good links with the City and other parts of the country via the motorway network and the National Rail system. Luton is also home to London Luton Airport, one of the major feeder airports for London and the southeast. Luton is also served by bus services run by Arriva and Centrebus and a large taxi network. As a Unitary Authority, Luton Borough Council is responsible for the local highways and public transport in the Borough and licensing of Taxis. 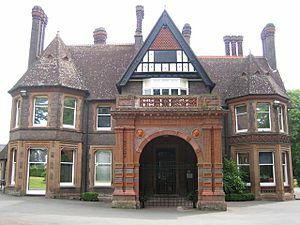 Wardown Park Museum previously known as Luton Museum and Art Gallery, is housed in a large Victorian mansion in Wardown Park on the outskirts of the town centre. 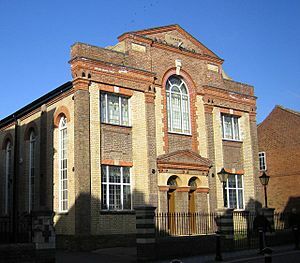 The museum collection focusses on the traditional crafts and industry of Luton and Bedfordshire, notably lace-making and hat-making. There are samples of local lace from as early as the 17th century. 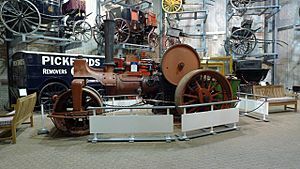 Based in Stockwood Park, Luton, the collection of rural crafts and trades held at Stockwood Park Museum was amassed by Thomas Wyatt Bagshawe, who was a notable local historian and a leading authority on folk life. Bagshawe was born in Dunstable in 1901 and became a director of the family engineering firm. Luton Facts for Kids. Kiddle Encyclopedia.